This property is on a 2363 sqm block of land. Last time it sold, it went for $5,000,000, which was in January 2004. 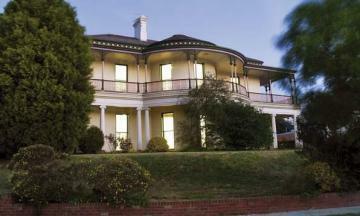 Thinking of selling 22 Lascelles Avenue, Toorak? Get a Free in-depth market appraisal from a realestateview.com.au partner agency. Take a virtual walk around the streets and blocks blanketing 22 Lascelles Avenue and read some helpful graphs regarding this part of Toorak considered against the broader municipality. The most popular types of jobs in these parts are professional scientific and technical services, health care and social assistance and retail trade. There's lots of couples without children in this part of town.